Local time: 19:10 PANELLINIOS G.S. Dynamo Moscow remained tied for the top spot in Group F by edging Panellinios GS 76-83 in Athens, Greece, on Tuesday. Dynamo improved to 3-1 and is tied with Red Star atop the Group F standings. Meanwhile, Panellinios saw its 9-point fourth-quarter lead disappear and is now tied with Beghelli Bologna for fifth place at 1-3. 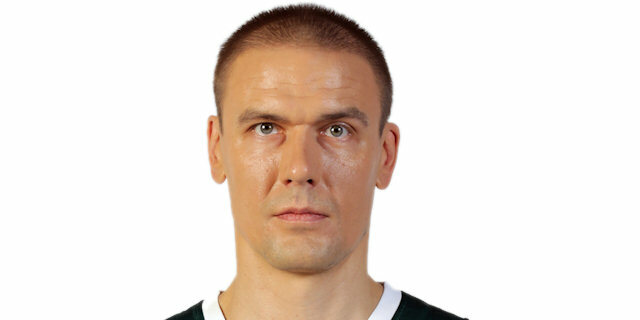 Sergey Bykov paced the winners with 24 points. Antonis Fotsis posted a double-double of 13 points and 10 rebounds, Robertas Javtokas also had 13 points, Dmitry Domani added 12 and Sergey Monya 10 for Dynamo, which played without Henry Domercant and Travis Hansen. Anthony Grundy led Panellinios with 21 points. Mamadou N'Diaye and Milan Dozet each added 11, while Nikos Argyropoulos and Vangelis Sklavos had 10 apiece for the hosts, who used an 8-0 opening run in the fourth quarter to take a 71-62 lead. Dynamo's defense caused Panellinios to go scoreless for the next five minutes, as Bykov led a game-breaking 0-20 run that Petr Samoilenko capped with a triple that sealed the outcome. Javtokas put his stamp early in the game, as he scored a pair of free throws, blocked a shot and then stole the ball. Dynamo rushed ahead 3-7 behind a long jumper by crowd favorite Fotsis, yet Panellinios picked up their defensive intensity and used a 10-1 run for a 13-8 lead. Grundy, who was very energetic on both ends, and Argyropoulos came off the bench to score 7 points, including a buzzer-beating triple, that pushed the margin to 28-18 after 10 minutes of play. Dynamo’s full-court press stifled the hosts’ backcourt and soon captain Dmitry Domani pulled the guests within 35-32. The momentum of the game had clearly shifted now and with Fotsis picking up the scoring slack, Dynamo climbed to a 42-48 halftime lead. At the outset of the second half, the hosts tried to bounce back with three-point shots and Sklavos and Grundy made it 59-57 midway through the third period. Panellinios stormed out for the fourth quarter and mounted an 8-0 burst for a 71-62 gap. Still, nothing was over as Bykov went on fire and with a barrage of triples turned the tide of the game and put Dynamo 71-76 in front. The hosts lost their composure and cooled off offensively, which allowed Dynamo to seal the victory as Petr Samoylenko hit an open triple that capped a decisive 0-20 run and extended the gap to 71-82. "Tonight, we had a great chance to defeat a very big and historic team. However, once again it became evident that it's difficult for us to play two games each week. We missed many free throws and especially in the second period we were awful in the defensive end. I have to congratulate my players because they tried hard. This result is not a catastrophe for us, but a win would have enhanced our chances to qualify to the next round. 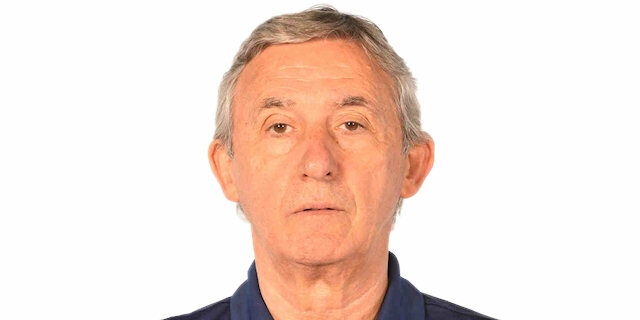 Pesic is a great coach and I think that Dynamo is the favourite to go all the way." "I think that our group consists of the most powerful teams. Perhaps there aren't many famous teams, yet this is a close group. So, it's very important for us to grab wins away from home. We knew that we had to play against a team that remains undefeated in the Greek League, so the fact that we beat them satisfied me a lot. Overall, it was a very close game and all players fought until the end and showed very good attitude. We managed to rally back, because we hit some crucial shots and grabbed some decisive rebounds." "It was a crazy game. We were passionate and for three periods we performed very well. However, down the stretch we made a lot of mistakes and Dynamo punished us. I think that we should have won this game, but it's also fair to say that we deservedly lost. Now, we have to move on." "We played without our two best scorers, so I'm happy that we won the game. It's a pleasure coming back to Greece, since I have great memories. I like it here. It's hard to say whether we are the favorites to win the trophy. Besides at the moment we are not playing very well. However, of course we'll try, because we have a very strong team."